Wisdom is really important; and ego, we have to cut it. The less ego, the better. It is a pity because we don’t really need this ego. The ‘I’ that knows everything already, the ‘I‘ that is expert in this and specialist in that we don’t need all that. Because if we don’t have them, then we are more smart. We will become more intelligent, smarter, really. The only reason I can do many things well and that everyone likes is because, perhaps, I have very little ego or none. I keep checking myself to see if any ego pops up. Perhaps the reason that your ego doesn’t go away is because you don’t have the chance to rub with other people, like no one checks you, no one fixes you; no one tells you what’s wrong with you because you don’t do anything with other people. Or, you are in a very high position outside in the society, like you are a boss or some director, manager, whatever; you are the one who tells everyone what to do all the time, and no one ever talks back at you. Also, sometimes even as a practitioner, you have no chance to be corrected by anyone else. But don’t be offended; cut that ego off. Okay? It’s not enough that you meditate. You’ve got to be exposed to many situations to grow up. You have to go out and also react to the reality in order to have more intelligence. Meditation helps also, but if you don’t have a chance to polish it, then it doesn’t work. If anyone at all scolds you, or even wrongly accuses you, be thankful for that person. That’s good for your humility, actually; and even if it’s not true, it’s also good for you. At that time, you check yourself out and then you know how much ego you have. If at that time you just still say, “Oh, I’m such a good person, why does he say like this and like this?” And you complain all day, and then you’ll begin to hate that person, then still it’s no good. Anyway, if someone corrects you in any way, that’s really good for you. You learn from that mistake, and you become better and better. No one is bad, just ego is bad. Truly the egos is the worst enemy of everyone. Many people like to keep it, that’s the problem. If you listen to this ego too much, you forget your great Self, your intelligent Self, your wise wisdom Self. That is the only problem. It’s a pity if you keep listening to the ego, like you know too much and all that. Then you don’t know your real Self. The main problem is the ego separates us from our true Self, from the one who truly knows everything. 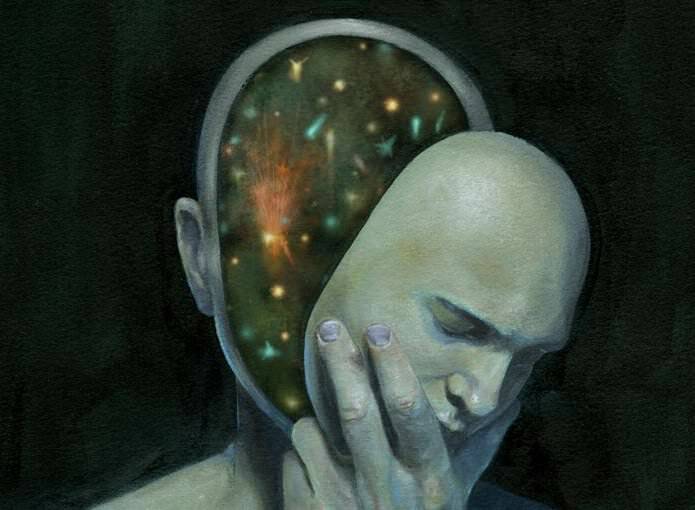 If we just think we know everything about this world, then we don’t know our Self. That’s the greatest problem with the ego. The ego is the greatest enemy. Sometimes the ego destroys a marriage, destroys a relationship, destroys a friendship, destroys the love between mother and son, or father and daughter even, because the ego causes conflict all the time—doesn’t want to do anything that is pleasing to the mother or father or pleasing to the partner, just wants to do the thing that causes trouble. Day after day like this, if a partner always causes trouble, then of course the relationship is broken. You cannot remember anything but bad things about each other—bad souvenirs, bad happening, bad events, bad result – and never good. So, of course the relationship cannot live this way, the marriage cannot continue. This is just physically speaking. Talking about the spiritual level, of course you’re even far away from your Self. If you’re clinging to your worldly know-how a little bit, even if you don’t even know enough and you think you know a lot, and you just cling to that, then you don’t know your Self. For example, if you have something in front of you, like even just a thin curtain, you cannot see yourself through the mirror. But if that thin curtain falls down, then you can see yourself clearly. This is the ego problem. It just stands between people; it stands between your real Self and anything else that comes near you. Then it makes everything damaged or ruined or distorted; it is not the real thing anymore. It’s a pity. This is not the thing we should keep. It’s our enemy. The little knowledge that we think we know—that is not our true knowledge. The ego is really hard to get rid of, very, very hard; and it ruins many things in this world. It causes war. It causes enemies and hatred, and ruin of nations. The people who have no ego never want to war with anyone because they can see through the uselessness of those things. So, ego is the worst enemy of everyone in this world. Animals, they don’t have ego. True dogs, for example, don’t have any ego. They are so pure, that’s why they can love you every minute. Even if you just scold them, they come with wagging tail immediately, the moment you come and love them. They never hold any hatred within their heart for a second. You can see that. So if you want to see the egoless being, look at the dog. Truly it’s like that. Most animals don’t have ego at all, until humans interfere and ruin their nature. That’s the problem. We humans not only ruin ourselves by our little so-called knowledge of the world, but we also ruin nature, and we also ruin animals. We force them into crazy behavior. I observed it all and I know it. It’s the truth. I’m not just telling it from books—it is truly like that.